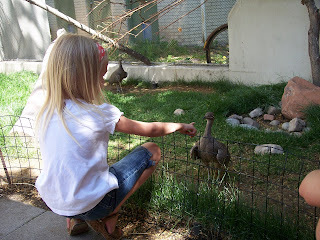 My family loves Tracy Aviary, in Salt Lake City. We plan to take a day trip soon, and hope to see/do some of our favorite things at this "bird zoo". Have a picnic with friendly peacocks who enjoy bits of our lunch. Try to pet the tinamou (above). Get up close to the flamingos. See turkey vultures, black swans, emu, owls, and even a bald eagle. Interact with birds at one of the programs.